Be the first to hear about their new releases and deals. Download the Booksprout app and search for G.S. Carr today! G.S. 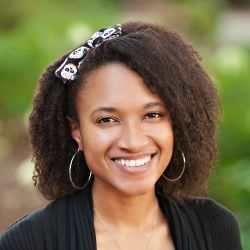 Carr is the writer of the debut novel The Cost of Hope, which is was a finalist in the 2018 Romance Writers of America HHRW Chapter's Romance Through the Ages Contest. She has always enjoyed indulging in her imagination. At a very young age she had a thirst for reading and the many possibilities it helped come alive in her mind's eye. Ms. Carr can normally be found locked away with a good book in her home in Charlotte, NC or traveling the globe to places like India, Bali, Tokyo, or London.